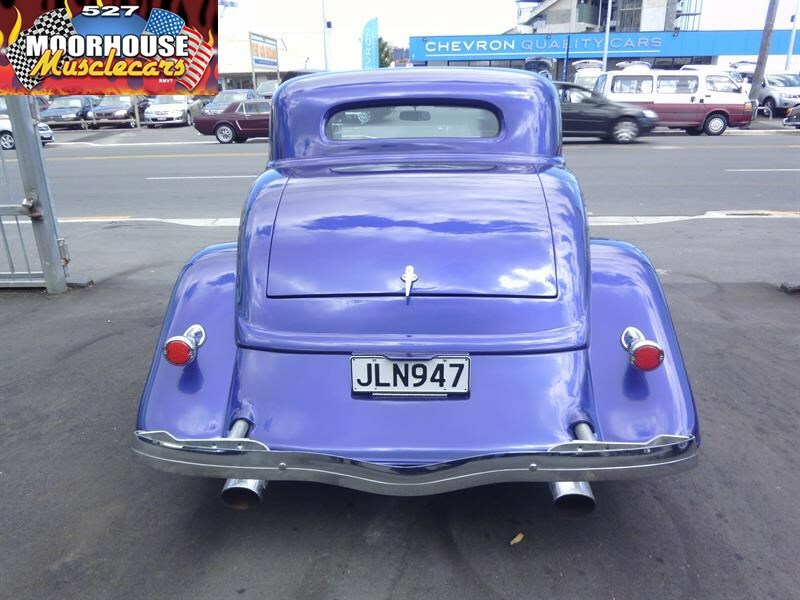 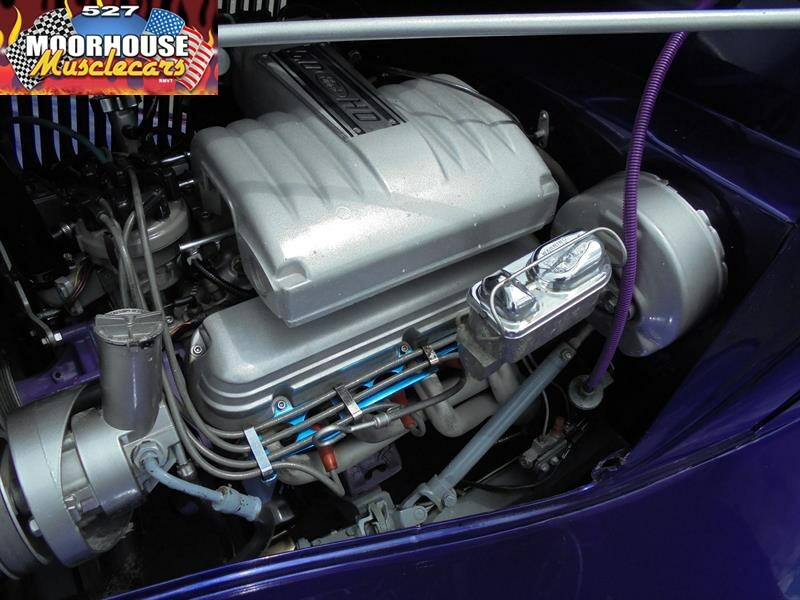 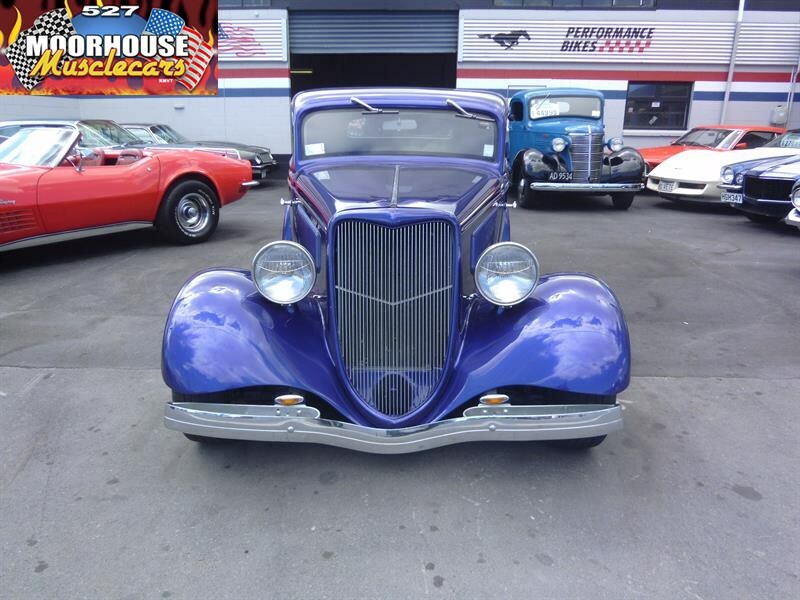 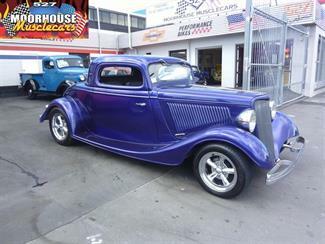 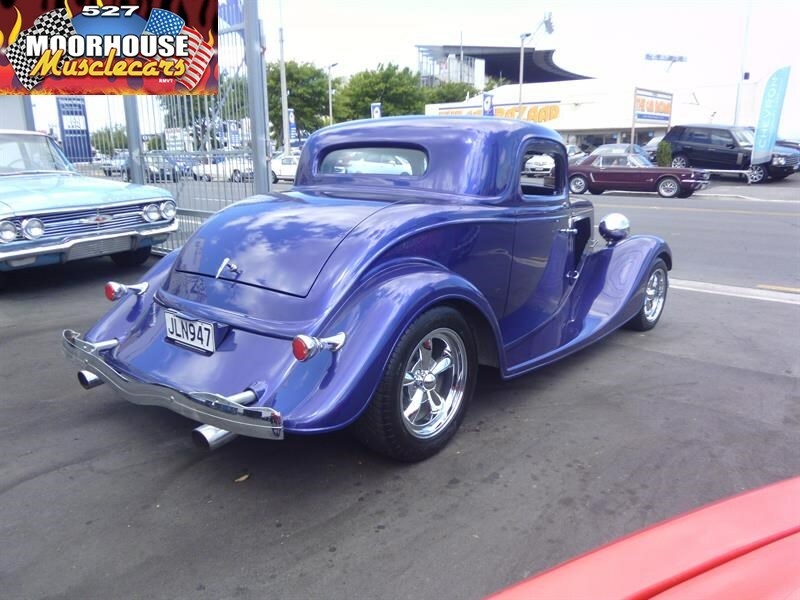 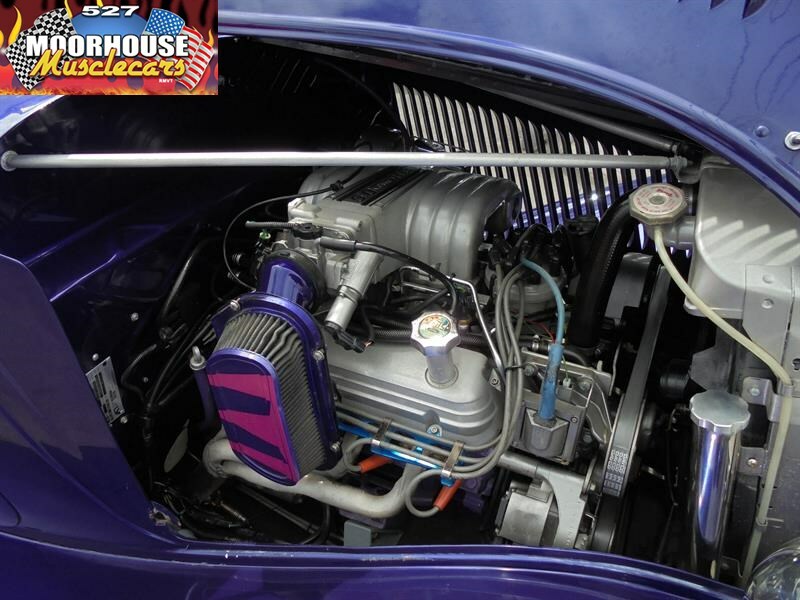 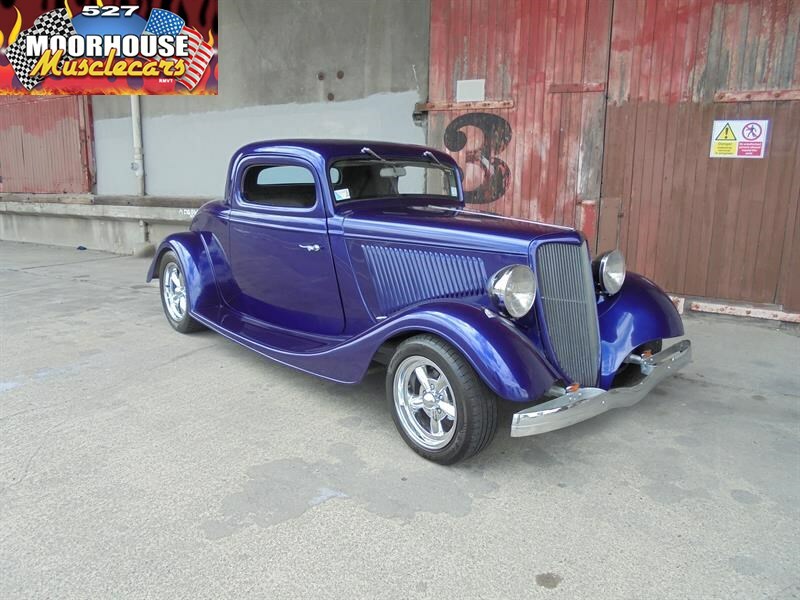 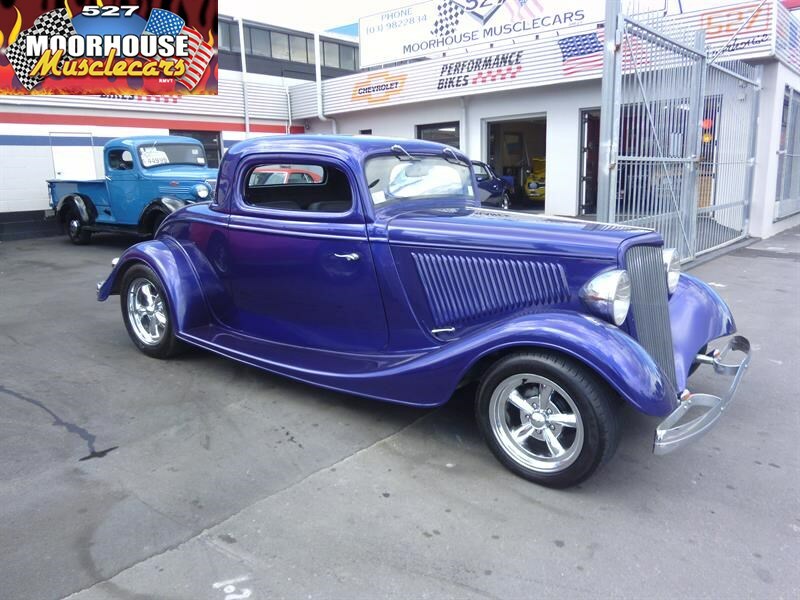 What a cool turn key Hot Rod Coupe! 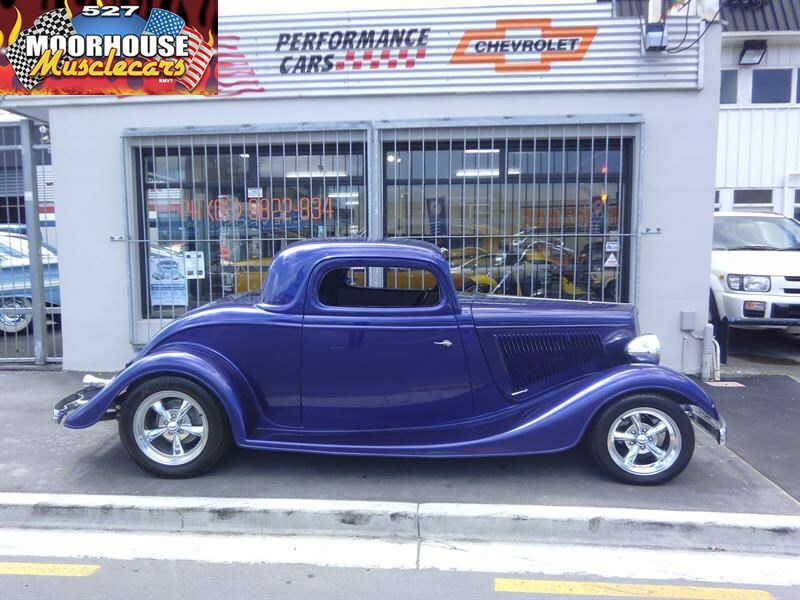 This neat looking 34 3 window Coupe was built and first registered in America in 1985, so is legal in this country Left Hand Drive! 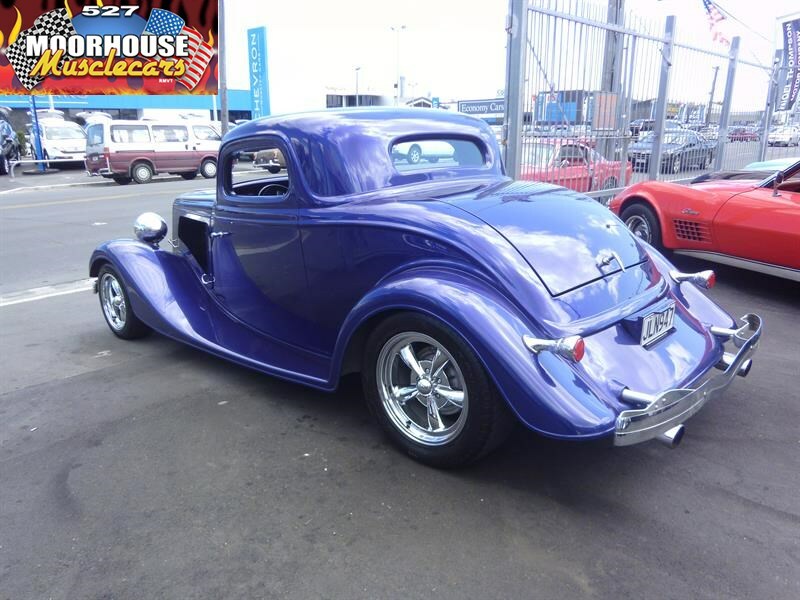 The body which is a one piece Street Beasts kit is all fibreglass fully steeled out, and still retains the full flowing fenders along with a chopped roof for that so cool traditional look. 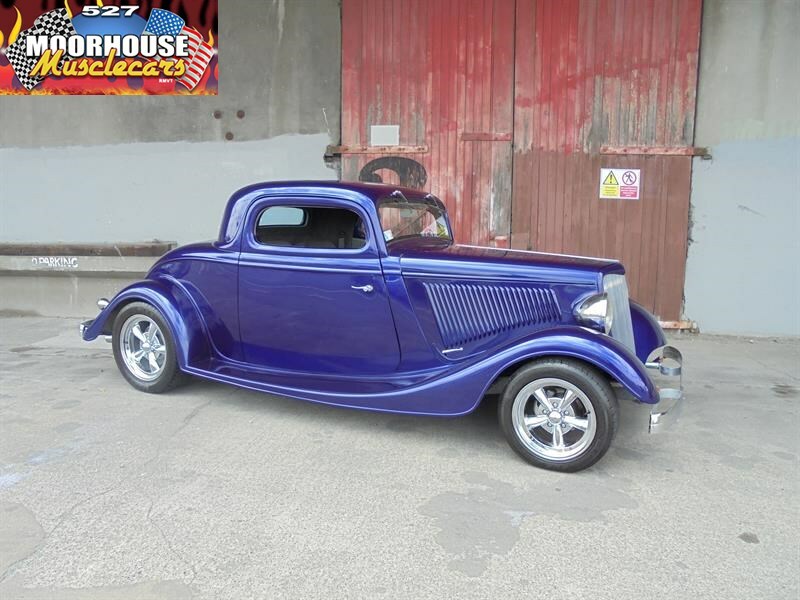 Although an older build, this neat Hot Rod has clearly had some substantial improvements carried out since hitting the road originally, and among other things has been fitted with bear claw latches for the suicide doors, and several other improvements making it look like a very recent build, and also meaning it has been brought into line with today's far more stringent requirements, allowing it to carry full LVVTA certification for use on our roads. 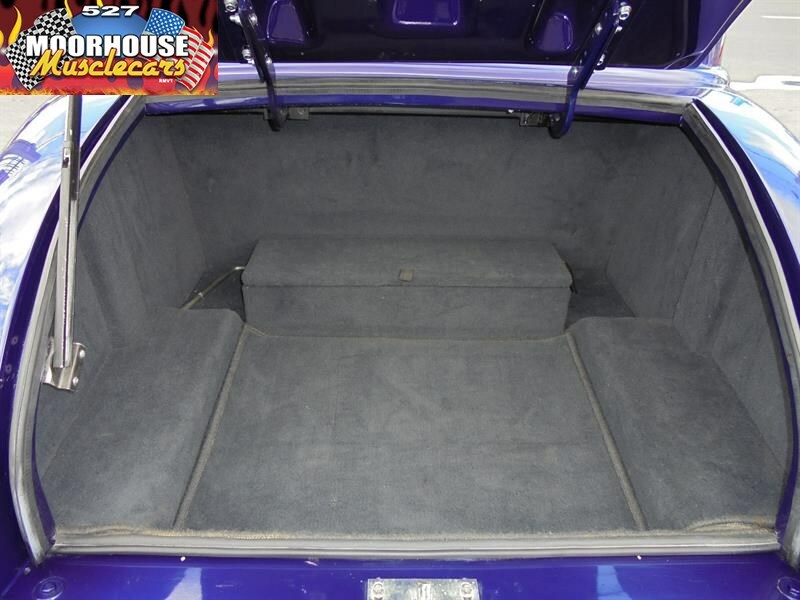 The fully boxed chassis houses all of the running gear which consists of a mid eighties Fuel Injected 5.0 H.O "High Performance" Mustang engine, coupled to a 4 stage AOD automatic transmission, running into the traditional Ford 9 inch rear, while the front is a fully independent Mustang 2 unit complete with power steering and power disc brakes, all making the driving experience quite enjoyable with more than enough performance to impress. 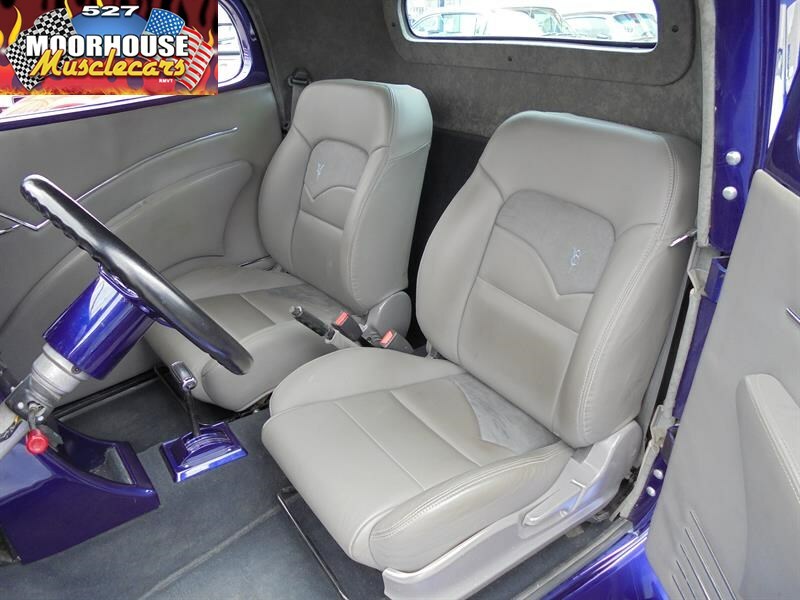 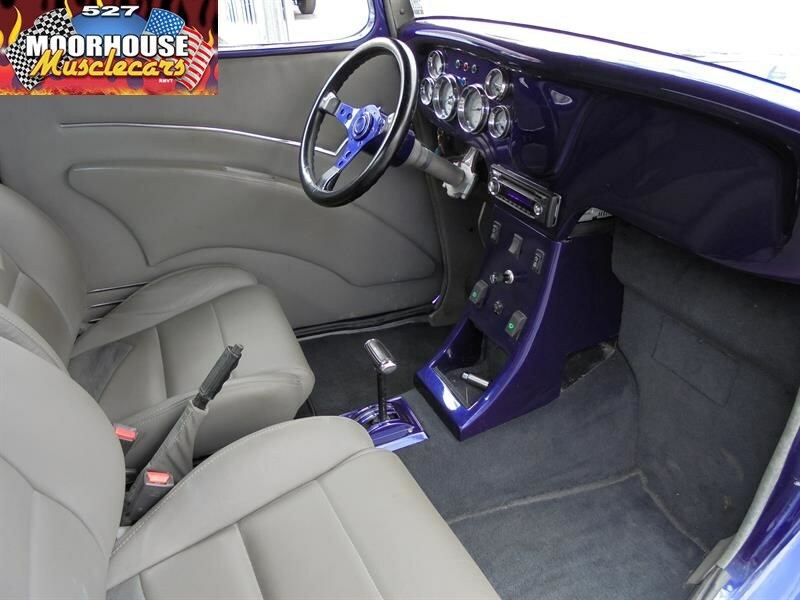 The interior has recently been redone in quality leather and suede, with very nice attention to detail and subtle touches throughout. 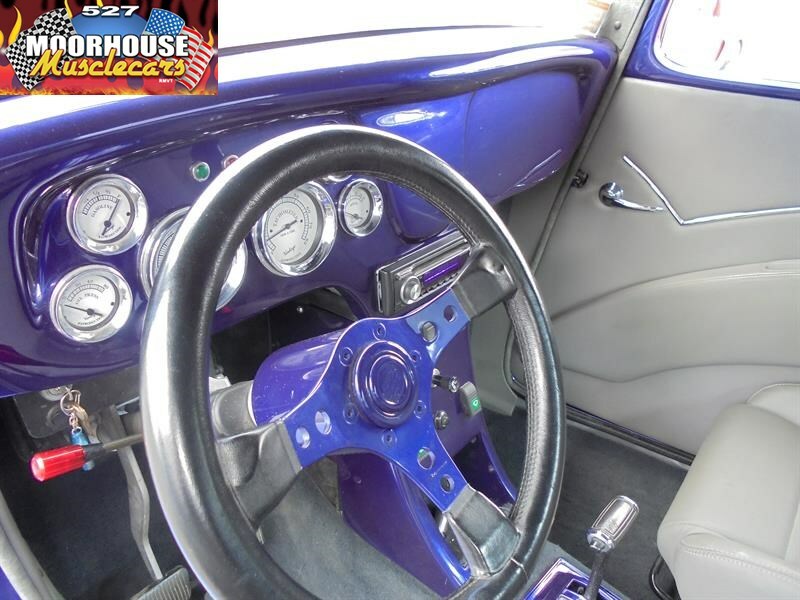 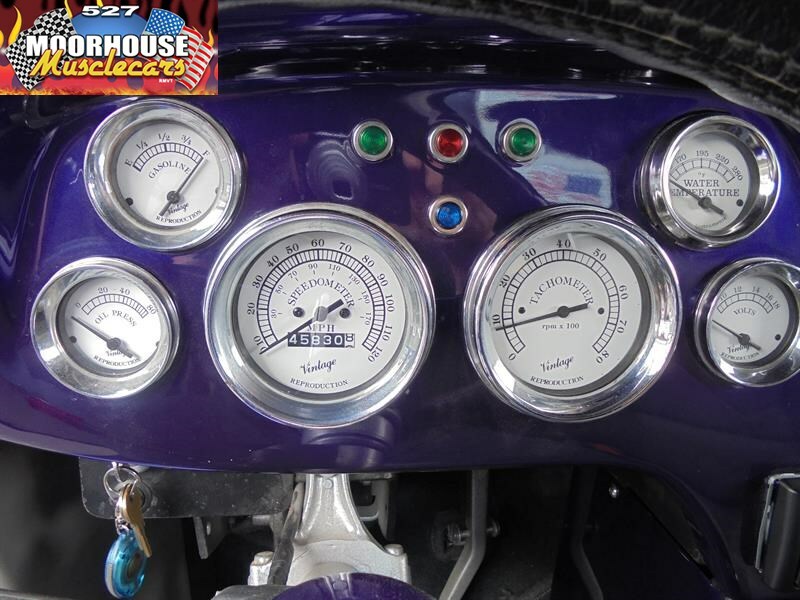 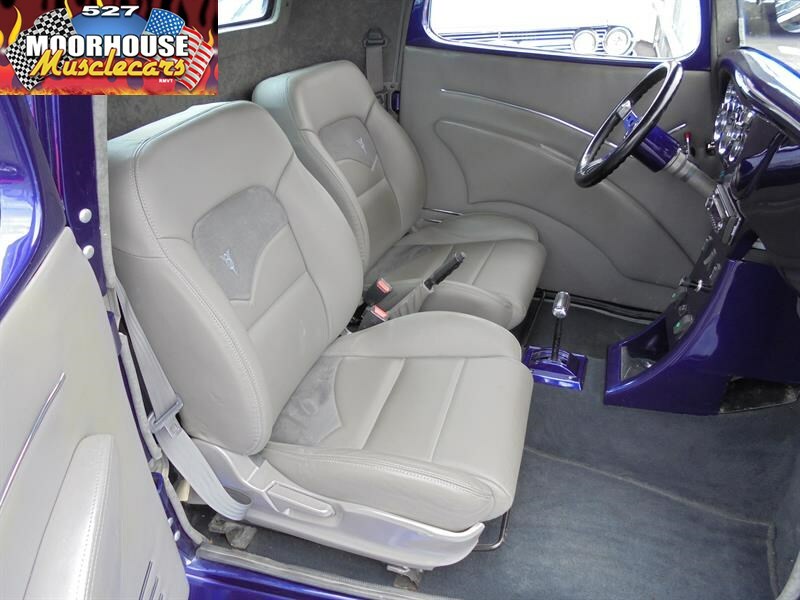 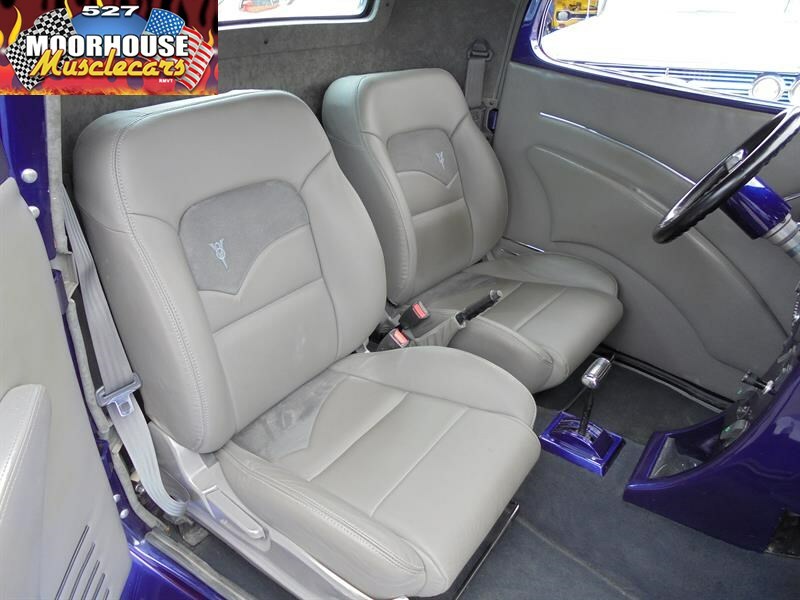 Power windows are operated from a central console and all of the important functions are monitored by Vintage style classic gauges housed in a replica 34 dash. 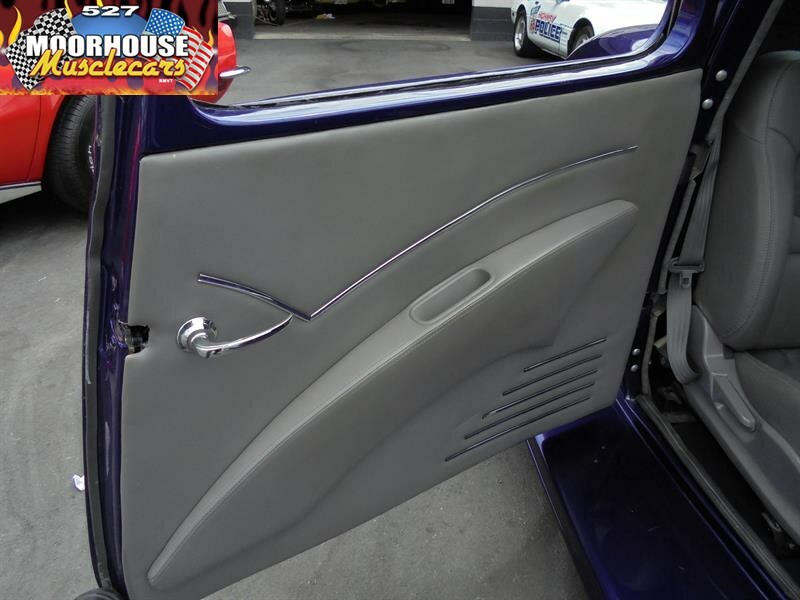 The timeless style of the body work is complemented by a stunning phantom purple pearl mix which really needs to be seen in person to be fully appreciated, and it is further finished with a set of highly polished chromed alloys which set off nicely against the dark coloured paintwork. 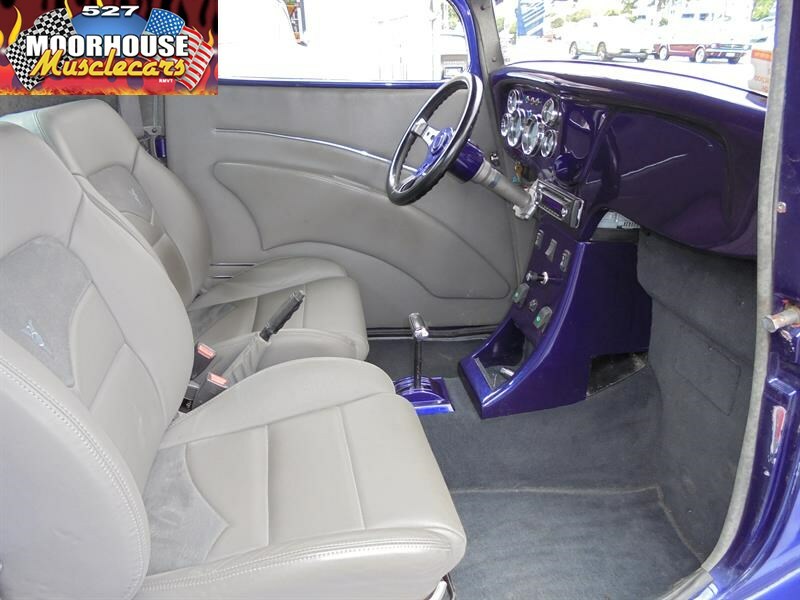 Fully LVVTA certified, registered and warranted, turn the key and start smiling ! 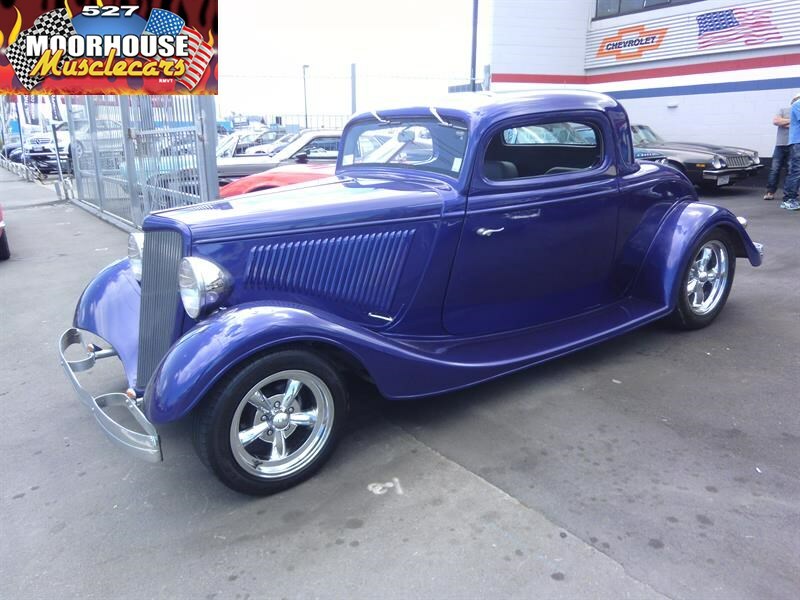 Note: This vehicle is registered as a 1985 Ford 1934 Hot Rod.